The Strategic Plan has four primary themes, all of which are broken down into distinct areas with more concrete goals: Holistic Graduate Student Experience, Relationship to Campus Environment, Supporting a Diverse Community, and Development Beyond the Classroom. The Holistic Graduate Student Experience is perhaps one of the most significant goals. “While graduate education has traditionally focused on professional development,” the plan states, “there are many factors that impact a graduate student’s holistic experience at Carnegie Mellon.” The plan sought to improve and support the graduate students in four primary areas: Health and Wellbeing — which included access to mental health resources and the development of programs to promote healthy lifestyles — Sense of Community, Financial Security, and Family Support. At Thursday’s meeting, the progress that has been made was celebrated and areas that have yet to be reformed were brought into focus. In attendance were university administrators, alumni, and more than 100 graduate student representatives, of which there are 103 across all university departments. 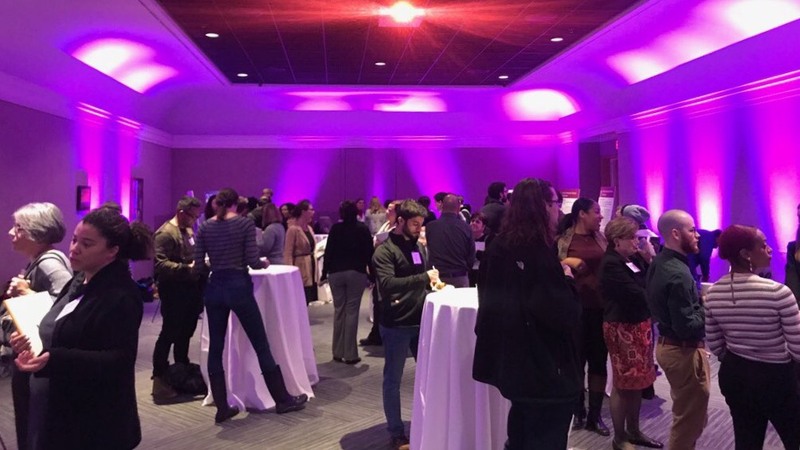 The Carnegie Mellon administration was represented by Interim Provost Laurie Weingart, Vice President of University Affairs Gina Casalegno, and Vice Provost for Education Amy Burkert among others. Many of the current graduate students were not enrolled when the Strategic Plan was released in 2015, and the Progress Meeting served to restate the plan’s significance. The graduate student population now represents more than half of the student population, with “about 5,600 masters students and 2,000 doctoral students,” according to Provost Laurie Weingart, and the proportion of international students rose from 60 percent to 63 percent. Though President Farnam Jahanian was scheduled to speak, he was not able to attend due doctor-recommended rest after a knee surgery. Nevertheless, Dr. Commer commended Jahanian’s support and “willingness to see this [plan] through” in his time as Provost, when the Strategic Plan was just getting off the ground. “In the past year,” Weingart continued, “CMU GSA has become a national voice in the national conversation on immigration and tax reform.” The Carnegie Mellon GSA has been pushing for a federal reform of the F-1 visa program that would enable students to re-validate their F-1 visas while remaining in the United States. Earlier this year, along with 53 other University GSAs, they submitted a letter to the State Department. Though they received a response last month, the issue remains unresolved. Other accomplishments of the GSA’s efforts include the opening of a Graduate Student Lounge in 2016 and the establishment of Legal Consultation Services. Plenty of Graduate students and live off campus and have no legal recourse with their landlords. Partnering with the Provost’s office and the Undergraduate Senate, GSA started a program to provide free 20 minute legal consultations. Over 50 students have attended consultations this semester. There is still a lot of work to do. In the coming year the GSA plans to continue advocating for better financial aid and assistance, especially for international students — for whom none exists. They are also looking to ensure that the transportation services and healthcare plans being offered by the university actually meet the needs of students. Additionally, they will continue to push for the establishment of childcare services, something that was proposed over 25 years ago. Many graduate students have trouble finding affordable childcare services for their families, while other Universities like MIT, Stanford and Cornell already have similar programs established.